Let's Celebrate What the Lord Has Done! 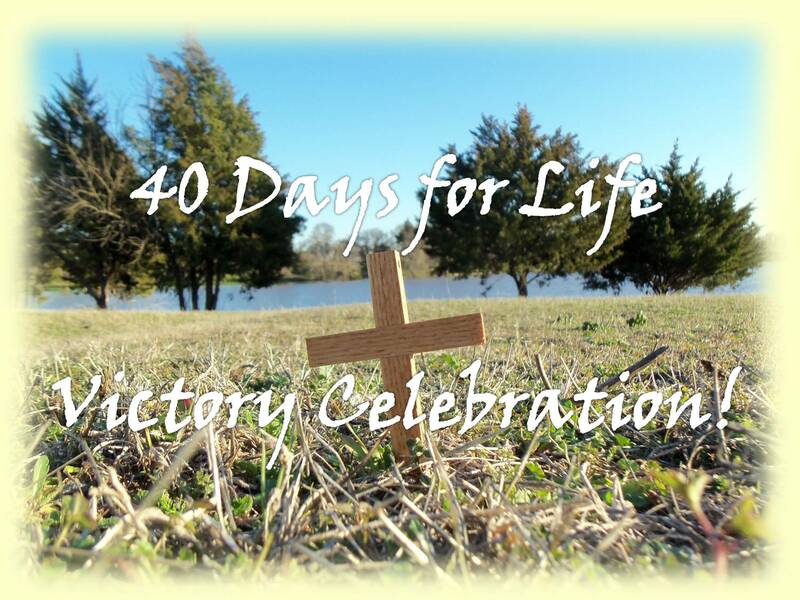 Join in the McKinney 40 Days for Life Victory Celebration! Bring your family to enjoy food, fellowship and fun! We will have a potluck picnic at our family farm just outside McKinney! We have a pond, llamas and plenty of space. You will want to wear jeans and tennis shoes. for directions and let us know what you plan to bring, how many will be coming and if you will be able to come early or stay late to help with set-up or clean up. This is an outdoor event and weather dependent. The forecast looks good right now but Texas weather is unpredictable; so if it looks bad call 214-531-7285.